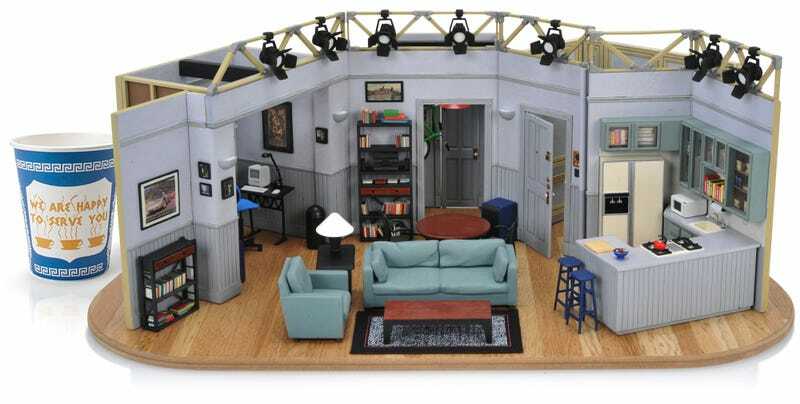 Everything in the replica apartment has been made from metal, plastic, wood, and fabric with a hand-painted finish so the apartment looks like it’s been lived in, and part of countless misadventures. The only thing missing is a laugh track, but thankfully sitcoms have moved on from them since Seinfeld was last on the air. So if you’ve been looking for a casual place for your action figures to hang out and do nothing, you can pre-order this replica set—limited to just 5,000 numbered pieces—for $400 if you get your order in before March 1. After that the price jumps to $500, but delivery is still expected sometime in June of this year.